Game Freak designer Ken Sugimori has been designing many Pokemon since the days of Pokemon Red and Blue. In a recent interview with Ken Suigmori, the designer explained how he design Pokemon with a technique called “keep the balance”. What this means is Sugimori might try adding something uncool to a Pokemon that is tool cool, or something cheerful to a Pokemon that is too serious. Read Sugimori’s full explanation below. I often tell members in charge of design to “take away from designs that are too cool,” but that is probably a sentiment that is difficult to grasp. What’s cool and what’s not is all subjective in the end. To put it extremely, my job is to get something that would look cooler if it didn’t have this or that on it, then put it in on purpose. [laughs] Basically, if it looks too cool then it takes away from what makes it memorable for the players. After all, as Pokémon that are being sent out to the world, we want them to always remain memorable; however, I feel that in order to do so you have to add a touch to it. For example, look at Oshawott’s cheeks. It has three freckles, and if you take them away Oshawott becomes cuter. However, taking them away makes its face less memorable. 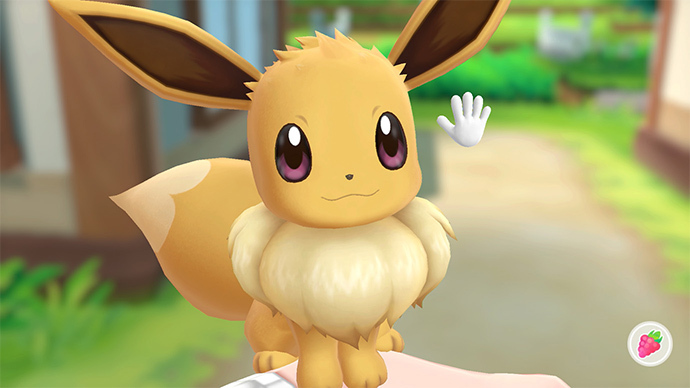 Actually, a lot of people told me “I want you to get rid of the freckles,” but I strongly insisted “It is better to have them.” Going by my standards, this is the correct way to design Pokémon.